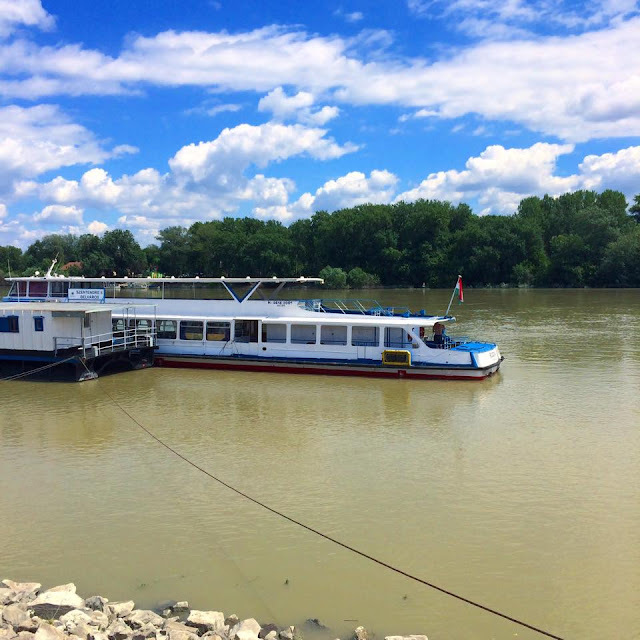 Adventures of Elis: DANUBE BEND, Hungary. The Danube Bend is a picturesque, hilly region of northern Hungary incorporating the quaint historic towns of Szentendre, Visegrád and Esztergóm. The name comes from the curving Danube River as it flows from Slovakia southwards into Hungary. Although popular with Hungarian and international tourists, this area has retained its rural charm. Close proximity to Budapest and an abundance of things to do make this area an ideal place for a day trip from the capital. Lots of people try to visit all three towns in one day and end up rushing trying to fit it all in. 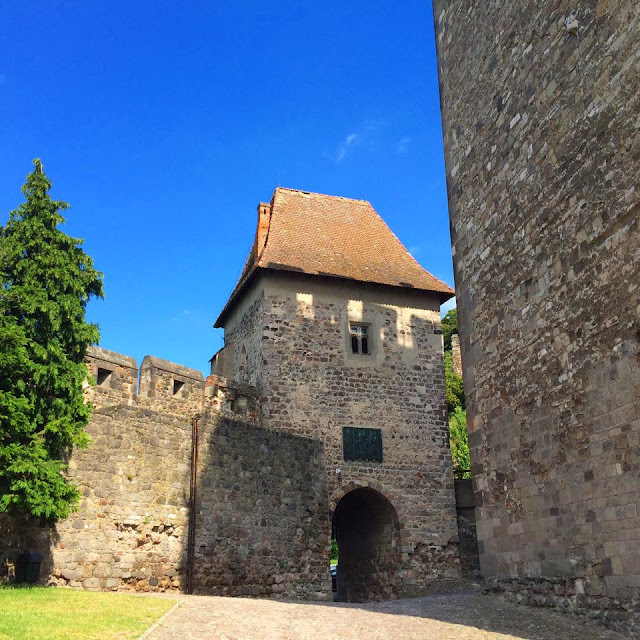 Instead I would urge you to pick just two in a day (I would say Szentendre is a must and then either Visegrád or Esztergóm), spending half a day in each before returning to Budapest in the early evening. 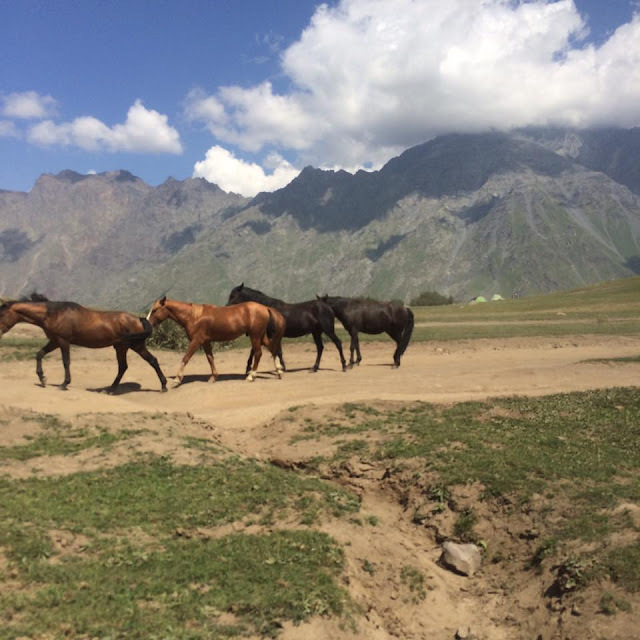 In this post, I will give a brief description of each town and explain how to easily and cheaply access this rural area using public transport. I’ve decided to include this section for those like myself trying to navigate this area without a car. When you know how, it is actually pretty easy to see the Danube Bend by public transport. Szentendre has the easiest access to Budapest as it is linked directly to Batthyhány tér by the HÉV suburban train. Esztergóm is also linked to Budapest by train – take the local train from Nyugati (Western) station. 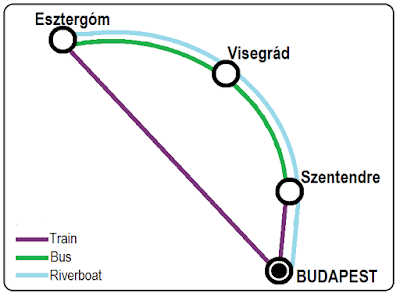 However, there are no trains between Szentendre and Visegrád, Szentendre to Esztergóm, or Visegrád to Esztergóm. The fastest and cheapest options where there is no train is to take the bus. Use the Volan buses. They depart from Szentendre bus station (right next to the train station). At the main stops there are ticket machines to buy bus tickets before you get on the bus, but at the smaller stops you can buy tickets from the driver. A more relaxing and way to see the Danube Bend is by taking a riverboat. Each of the three towns has a pier and you are able to book in advance or pay on the day. However, the boats are more expensive and much slower. I’ve put together a map below to make it a bit simpler! I hope this has helped! If you have any questions, feel free to leave them in the comments section below and I’ll get back to you. For my guide on Budapest, follow this link. Thank you for reading!